The ability to enter someone else’s world and make them feel that you understand them is called “rapport.” Creating rapport isn’t a trick or a ruse – it’s one of the most powerful ways we connect to each other. Today’s most impactful leaders receive leadership training to build the skill of rapport; to create strong bonds and engagement, so they can act from a position of influence. If you want to be a truly effective and impactful leader, mastering rapport is a must. Check out this example below to see how Leadership Academy helped Donna Clark become a stronger leader to help her teams reach the next level of success. Donna Clark, 34, works for a small non-profit where everyone is required to wear many different hats. Routinely tasked outside of her job, she knows taking on extra responsibilities is a must to ensure healthy growth. However, since she focused solely on operations, Donna never had professional leadership training to properly empower her team and delegate other tasks. There are different leverage methods for different people — leverage is always contextual, even while working with the same person. To be the most effective, be aware of your situation – what is going on with you? Your peer? The environment at that moment? How can you use this information and adjust your communication, tone or demeanor to relate deeper with your audience? Always take the time to know your audience. Find the leverage that satisfies their specific needs, their subjective model of the world and their beliefs. Ready to receive your leadership training and become a more influential leader? Attend Leadership Academy this year and discover the 7 Master Steps to Produce Lasting Change. Plus, learn how to use the Triad, Tony Robbins’ proven method to instantly shift anyone’s emotions in an instant, to positivity influence yourself and others. 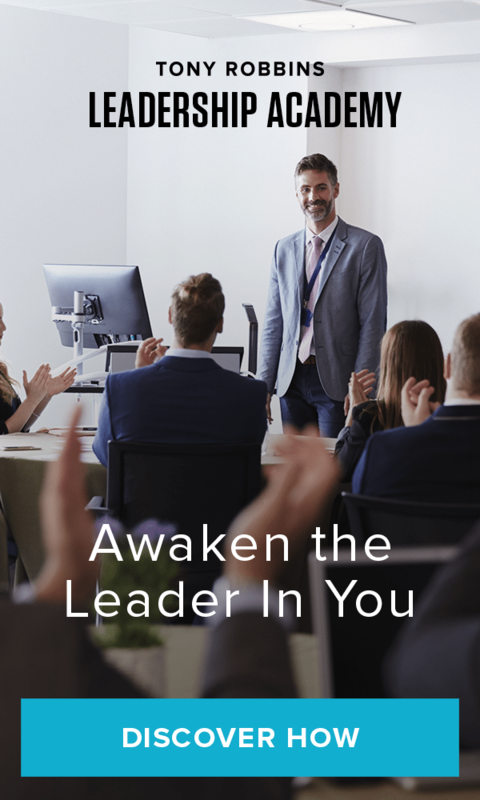 With real-time 1:1 leadership training, you get immediate practice and receive feedback on everything you’re learning, giving you renewed confidence and certainty to implement these skills and create lasting change when you return home.